is working on MagSafe-based inductive charging mechanism for the Apple Watch. Battery life has always remained one of the main challenges for smartwatch makers. Apple did not shed any light on its battery life when the company officially unveiled its smartwatch. According to reports, Apple's much awaited Apple Watch isn't going to be any different from other smartwatches in terms of battery life. The company seems to have fallen short of its targeted battery life for its smartwatch. The report further says that Apple chose a powerful processor and a high-quality screen for the Apple Watch that contributes to significant power drain. The smartwatch runs a variant of iOS, codenamed SkiHill, and S1 chip which delivers performance similar to the Apple A5 chip used by the present generation iPod touch, and sports a Retina-class colour display that is capable of outputting 60fps. The report states that Apple initially targeted for the Watch to deliver about one full day of mixed usage, including a bit of active use and primarily passive use. "As of 2014, Apple wanted the Watch to provide roughly 2.5 to 4 hours of active application use versus 19 hours of combined active/passive use, 3 days of pure standby time, or 4 days if left in a sleeping mode," noted the report. However, sources claim that the company is unlikely to achieve that target with the first generation of devices. Apple is now reportedly trying to achieve 2-3 days of battery life in either the standby or sleeping low-power modes. Apple is aiming at 3.5 hours of standard app use and 2.5 hours of heavy app usage including processor-intensive games. Earlier reports stated that the Apple Watch would come with different modes and the sources add that the company has been conducting several tests to check the battery life of the wearable device in time-keeping mode. Besides that, sources claim that Apple has circulated almost around 3,000 numbers of Apple Watch devices and mainly the stainless steel variant to be tested in real-world performance in different situations. 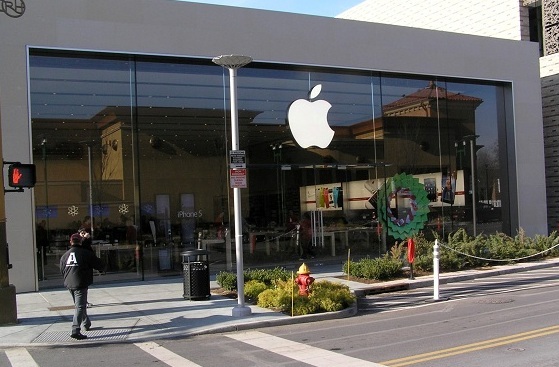 Reports also say that the company is working on MagSafe-based inductive charging mechanism for the Apple Watch. The tech giant has built two circular charges - a plastic and another stainless steel version. Currently, there is no word whether Apple will come out with both the versions into the market, but may do so for different variants of the smartwatch at different price ranges. Last September, Apple released its first wearable device, the Apple Watch, alongside the iPhone 6 and iPhone 6 Plus. Initially the company promised an early 2015 launch, though the company has not yet released any updates on the rollout of the Apple Watch. While sources peg a March release, reports claim that one of the major reasons for the delay has been the battery life of the Apple Watch. The device is expected to come in three collections, including standard, Sport, and Edition and will have many distinct wristband designs.